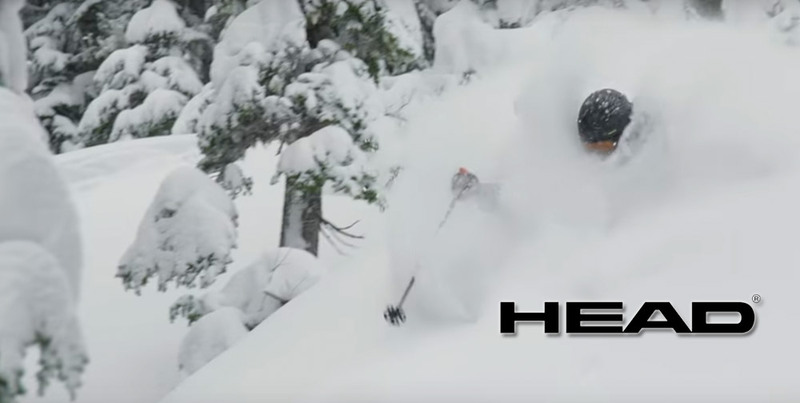 Head Skis has four distinct ski designs that reflect the different types of skiing people are doing these day, each type has grown from years of research and from feedback from athletes culminating in a ground breaking collection. The V-shape series offers unique characteristics for each skill level so you can progress through these skis as your skiing progresses. Green and blue run skiers will appreciate the V2 and V4 as the ski is designed for easy and effortless turns with lots of control. Black and double black skiers will want to step into the V6, V8 and V10, these skis encourage you to ski powerfuly and in return give back precise turns with great stability. The Kore series are all about powder and freeriding, these are lighter skis that are not made for hardpack conditions but give you exactly what you need when the white stuff flies to ski powder without feeling like you are fighting your way down the mountain. The Supershape series are built for speed, with graphene for power and stability and radical shapes that give you balance and control when you are letting it all hang out. The Joy series is specifically designed for woman, with flex patterns and sidecut geometry that work for their weight and size, allowing for more balance and control. The Kore 105 will get you inspired to drop into the steep and deep with a light weight Karuba wood core that lets you control the ski in deep snow and a tip and tail rocker that makes the ski easier to control when buried under a blanket of fresh. This is a very responsive ski with excellent damping thanks toi the Graphene carbon sandwich cap construction. You get precise control from the radical side cut that lets you stay on top of every situation, even on steep or tight sections. This is going to be a great rental ski for Aspen Mountain with its steep terrain when things get deep. The Head Kore 99 is going to be ideal for that mid deep powder day, we are talking like the four to eight inches, or also an ideal big powder day ski for lighter skiers. Build on the same chassis as the Kore 105 with the Graphene and KOROYD Carbon Sandwich Cap Construction to keep the ski light but still strong, GRAPHENE is also the strongest material on the planet, stronger than diamond and 300 times stronger than steel, all in the thickness of one atom. so it pushes the snow around and not visa-versa. This is going to be your Aspen ski rental when you are wanting to spend the day bombing Aztec and perfecting your mogul skiing on Bell Mountain. A performance ski in any terrain on piste with tapering from shovel to waist that creates speed in the turn. The edge control of the I Rally will make your already immaculate parallel turns even more snappy and even more precise than ever. In spring snow or variable conditions you can count on the speed rocker to help you keep control and the RD Race Structured UHM C Base to allow all the speed you can handle. The Total Joy is an all mountain ski with a short turn radius that gives the skier massive confidence in tight trees and bumps where you have to be on top of your turns. The combination of its light weight wood core and the stability from the 133 / 85 / 113 side cut dimensions means you get a performance ski that is your versatile, multi-talented equipment choice for your Aspen demo ski rental.